BLE Blog: What Future for Education? The Institute of Education, University of London, has just started their second free MOOC (Massive Open Online Course) on Coursera. 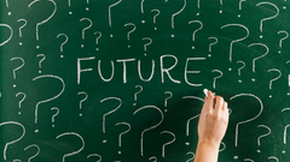 The six-week course explores the question "what future for education?" and is a fantastic opportunity for everybody involved (or not) in education, however margnially, whether student, teacher, learning support or without any official role at all, to take a step back and think about learning, how education is organised, and whether this all makes sense. Led by Dr Clare Brooks from the Institute of Education with plenty of input from our fully online MA in Education programme, this is unsurprisingly not a lean-back-and-watch online resource, although it can be used as such, but a course that requires participants to engage and be active via forum contributions, shared activities, reflective journals, and online meet-ups - a set of social activities allowing us to learn from each other, with participants from all over the world.